Real Estate Trends: Pleasant Hill: #2 in the Nation! Pleasant Hill ranked #2 in the nation on Realtor.com’s 2016 list of the NATION’S 20 HOTTEST RESIDENTIAL ZIP CODES! Millennials drawn by affordable prices and strong job markets are a key factor,” said Realtor.com. Realtor.com ranked the list based on the time it takes properties to sell and how frequently homes are viewed in each zip code. In Pleasant Hill, homes sell on average in 16 days! Realtor.com users view homes here almost four times more often than the rest of the country. Millennials are the largest generation in U.S. history, ages 25-34. In the top 10 hottest markets, the share of millennials earning more than $100,000 is 1.8 times higher than the U.S. overall, especially in Pleasant Hill, Petaluma, and Melrose, Mass. The top 10 hottest zip codes are in counties with robust employment opportunities. When compared to surrounding areas, these hot zips offer prices that are 19-22% less expensive than their surrounding counties and metro areas, respectively. We are affordable in comparison to Lamorinda, Danville/Alamo, Oakland hills, the city, and the peninsula. · Beautiful downtown, parks, and highly rated public schools. The dominant buying group, 31% of buyers, is 35-44 year olds. Millennials hold 26% of the mortgages. 42% of the millenials make over $100,000, twice the norm for millennials in the US. We are proud to offer our expertise to sellers who want to take full advantage of selling in the 2nd hottest zip code in the nation! Our expertise in home sales are part of what helped Pleasant Hill be second in the nation with fast sales. We are used to strategically pricing and marketing homes to take full advantage of the demand that exists. 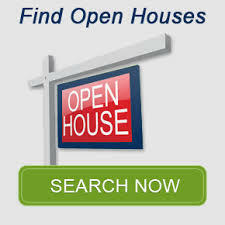 Contact us to get your home sale handled by professionals who have a tried and true plan for selling for top dollar! Don & Norma Flaskerud, Remax Today Broker/Owners 925-338-2980, or [email protected].